GL-AR300M16 is a mini travel router for working professionals and a programmable gateway for DIY hobbyists. The router is with storages of 128MB RAM and 16MB Nor Flash, which can be further extended using external USB sticks. There are 2 Ethernet ports, 1 UART, and 1 GPIO available for hardware DIY. It is an ideal portable gateway for IoT development. WiFi is extremely popular but still may not be available at anywhere. 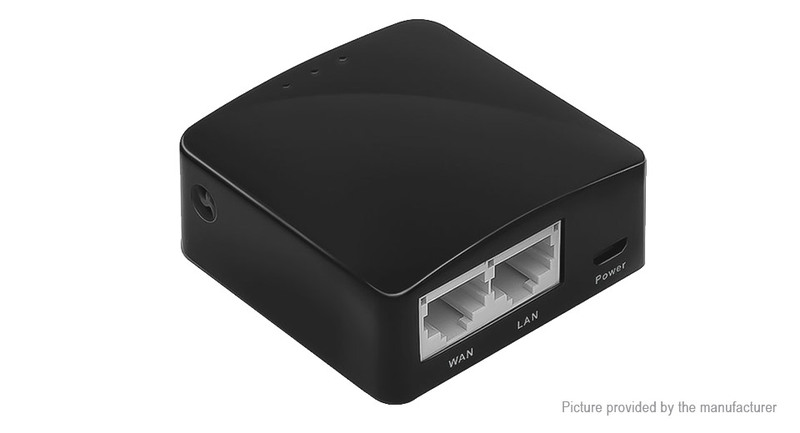 If you are still using a wired network at hotels or cafes, this mini router is able to convert it to a wireless network for sharing the WiFi with all your devices. Even in places like cafes or restaurants with WiFi, it is not good to expose your devices to the public network directly. This router converts a public WiFi to your own WiFi with a firewall and then works as an agent for securer surfing. The agent connects all your devices when switching to a new WiFi. You don’t have to input password for each of your devices. The router is also able to convert your phone tethering, or 3G/4G USB modems into a private Wi-Fi. The router is lightweight, pocket friendly, and portable. It can be plugged into any laptops, power banks, or 5V DC adapters for power supply. OpenWRT is pre-installed and backed with a repository of 4000+ software packages. Pre-installed with an OpenVPN client, it works with 20+ VPN service providers. Tor firmware is available for download. The firmware is under active development and can be updated online with one click.